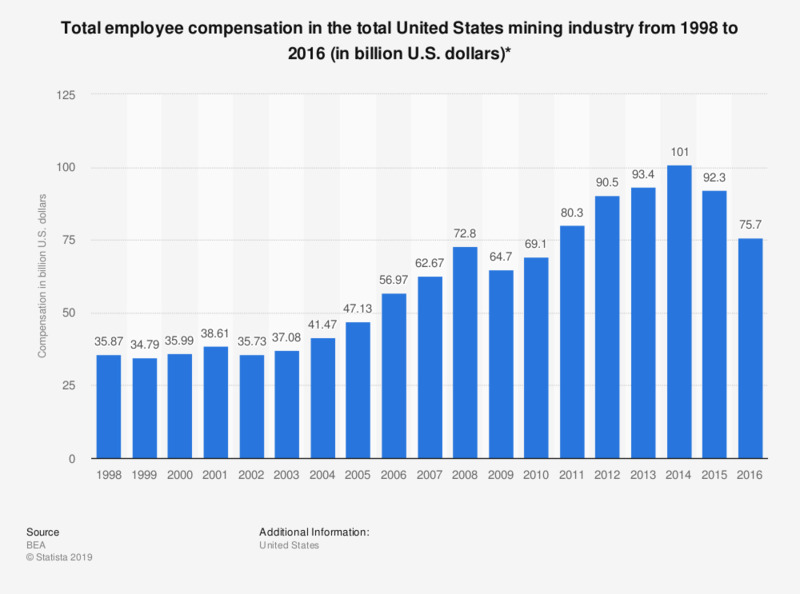 This statistic shows the total employee compensation in the United States mining industry from 1998 to 2016. In 1998, the total compensation in this industry totaled around 36 billion U.S. dollars. Until 2016, this value increased to almost 76 billion U.S. dollars. * Including oil and gas extraction, mining except oil and gas, support activities for mining. Compensation is composed of wages, salaries, and supplements. Figures for 2014 and 2015 were restated in the 2017 edition of the report. All data was revised under the 2014 Comprehensive Revision of the Industry Economic Accounts.